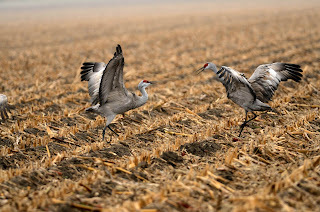 So we headed out to see if we could find some cranes. 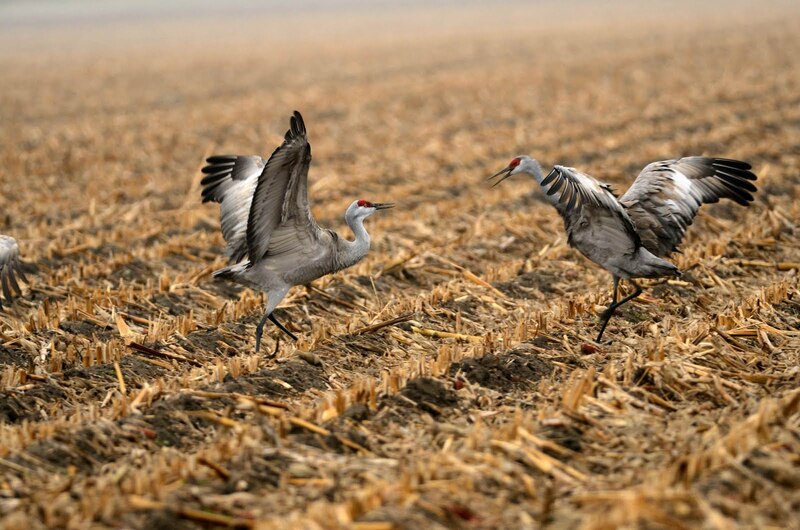 We did find many cranes in the fields! The were close and cooperative. And with overcast skies we shot all morning and afternoon. It was great. This pair did a little dance for us. Cranes are so romantic - it really is cool to watch them in action as they try to get the attention and affection of a mate. This is a big deal since they mate for life. Don't know if this worked for this group or not. Sure hope so.